A friend’s son recently ran in a class election in his grade school. It was one of those elections where you vote for class president, vice president, treasurer or secretary. Where the candidates make posters and signs with rhyming slogans like “Take the cake and vote for Jake!” The kids hand out cupcakes and buttons and give speeches to the class trying to influence classmates to vote for him/her. My friend’s son spent weeks planning his campaign for class president. Because his father is a leadership development professional, it was important to his son to get this coveted leadership position. On the day of the election, his son came home looking sad. My friend asked why he was sad. He said that he had lost the election. He was disappointed because it was important to him to be a leader in the class. And now his chance was over. My friend told his son that there are two types of leaders. Leaders that lead because of the position they hold. And people who are leaders because others choose to follow them. Sometimes a person can be both types of leaders, but it is the second type of leadership that is earned and holds the strongest power. And often the most influential leaders aren’t found in the front of the room. Sometimes they are the people who make the choice to follow someone else. This first follower is a powerful position. It signals trust, belief and support in the first person. This vote of confidence becomes a recommendation to others – whether a formal endorsement or implied. Others notice this choice to follow and end up choosing to follow the lead of the first follower. 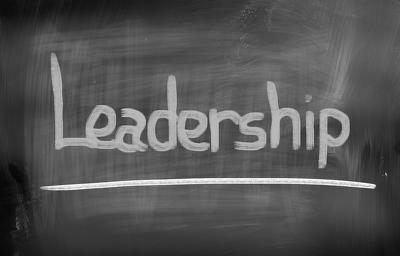 Thinking of this in business sense – we are swayed by this type of leadership all the time. It is based on credibility, respect and trust. We pay attention to the actions of those we choose to follow and notice what they do. These leaders influence our decision making in subtle ways. When I get a Linkedin request, I look to see who I have in common before deciding whether I want to add the person to my network. I have picked up multiple books based on other leaders recommendations and have never been disappointed. I have tried courses recommended to me by my mentor. I leverage the influence of these other people not because I can’t make my own decisions, but to broaden my perspective and awareness. I don’t follow them because of positions they hold, I follow them because I respect their thinking, ideas, character, values and results. In short, these leaders make me a better leader. Leverages bright spots: the book “Switch: How to change things when change is hard” by Chip and Dan Heath, talks about the concept of “Bright spots” as momentum builders. Bright spots are the things that are going well or showing desired success. These can be circumstances or behaviors or people. A leader looks for these bright spots and spends time to figure out how to expand these bright spots. Focuses on consistency: The Washington Post recently published an article on the worst kind of leader based research by Michigan State University finding employees were more stressed by bosses whose behavior was inconsistent and erratic over those who were consistently difficult. Employees thrive in consistent environments and will choose to follow the leader that creates a positively consistent environment. A good leader is mindful of this and is intentional about his behaviors, actions and communications. My friend’s son returned to school the next day, which happened to be the first meeting of the new student government. The new class president stood at the front of the room, trying to get everyone’s attention. Kids in the classroom weren’t paying attention to him. They were busy playing and talking with one another. My friend’s son stood up and clapped his hands to get the class’ attention. He said “Let’s listen to what our new president has to say.” The other students turned towards my friend’s son, surprised to hear him speak. They quietly returned to their seats and turned toward the front of the room while the new class president smiled and mouthed “thank you” to my friend’s son.